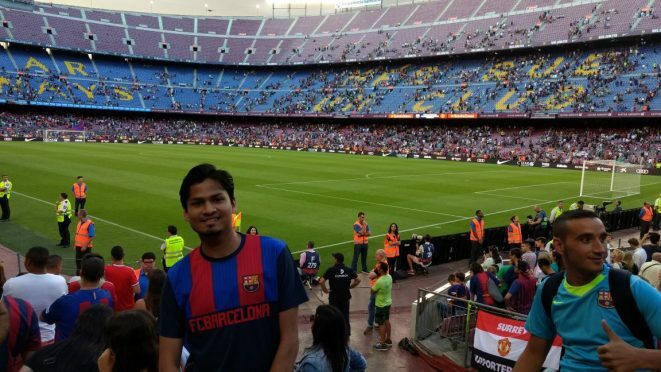 About the Author: Suyash Mishra from IIT, Roorkee, shares his internship experience at UAB, Barcelona, and provides us some tips for writing the cover letter and resume. 1. Cover Letter shouldn’t be lengthy: 3 paragraphs should be enough. 2. Open with an interesting sentence that grabs the reader’s attention. The aim is to make the person read further. 3. Give a summary of your qualifications and experience, and tell them why you are the right one for the job. Avoid repeating any information in the resume. 4. Express the information in such a way that it gives them a complete picture of you. 5. Portray some knowledge about the organization, slip it in while you are writing about why they should select you. Let them know you’ve done your research and you already know what kind of work you will be assigned. 6. End on a positive note. Mention all your contact details, in case they try to contact you. I was given a direct offer without any interview, purely on the basis of my resume and cover letter. After receiving a positive response from the professor, I replied with a note of thanks and asked him if any further official work is required by their organization. In a span of two weeks, I made things clear about my stipend, accommodation, and travel expenses. I asked him about the topics that I should read to prepare for the internship. Once these things were clear, I started preparing for the internship and stayed in touch with my mentor. I reached Barcelona on 7th May 2017. Before starting the research, my mentor wanted to check my level of understanding, so he asked me some basic questions like: “What is a field ring?”, “What is a finite field and module?”, “What are number fields and field extensions?”, “When is a maximal ideal?”, etc. The questions kept coming until I was unable to answer one of his questions – “What are Noetherian rings?”. Having prepared before hand, the familiarity with the subject helped me in the research work. My whole internship was broken into 2 different phases, the first one was theoretical where I had to read various study materials related to the topic, attend seminars with the professor on topics like p-adic numbers, finite fields, ANT, and Montes algorithm. In the second phase, I translated the routines to C++ that were used by magma package to implement Montes algorithm. By the end of my internship, I had translated 6 of those routines. I used to meet my mentor twice a week with an update on my progress. The best part of the internship was mingling with a new culture and language. Learning Spanish was an amazing experience because there were moments when even English couldn’t help me. Meeting new people and making new friends is something I will cherish throughout my life. I learned a lot about my research field which will help me, later on, to pursue my interests. And lastly, the most memorable experience was to see Ronaldinho play live in front of me at Camp Nou, FC Barcelona, during a match between Barcelona Legends and Manchester United. Do you also want to travel abroad for your internship? Check out these exciting international internships and programming internships. So the soliute the site to the free steam code good learn the site.